Sotheby’s in Amsterdam is having a watchauction again on the 7th of december. Click here to see the lot. 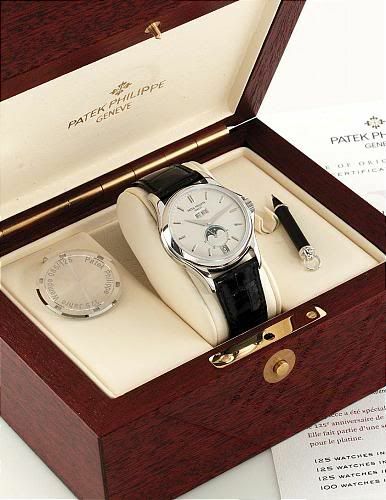 This Patek Philippe special for Wempe (125th anniversary) is also in the lot and is estimated between 30.000 – 35.000 euro. However, not only Pateks are being auctioned, you can find your share of Omega Constellations&Speedmasters, Breitling Navitimers and other more civilized priced watches as well.